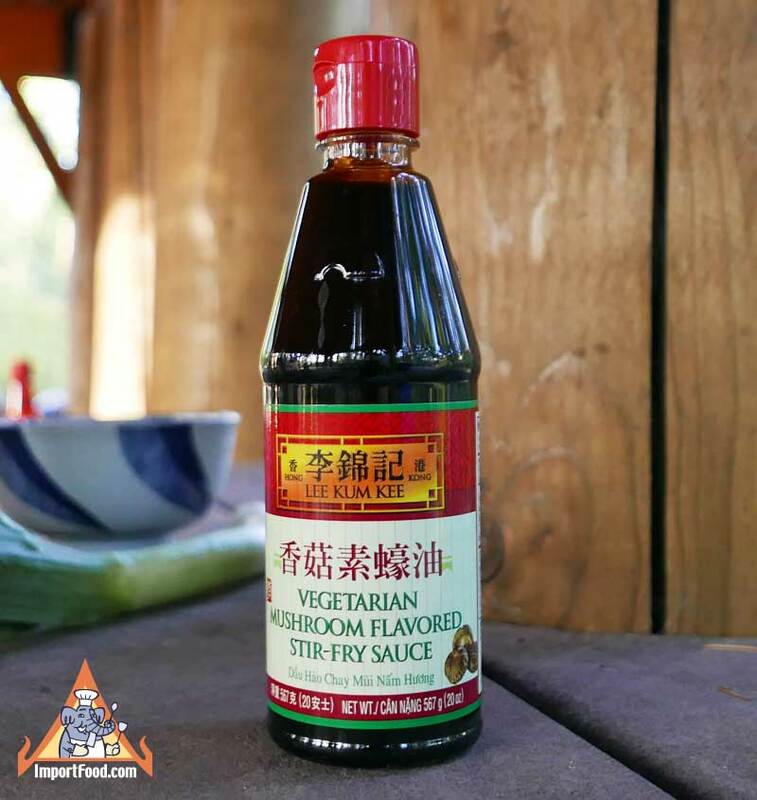 For a tasty vegetarian stir-fry try this sauce from Lee Kum Kee of Hong Kong, they've made this sauce in USA and packaged it in the plastic bottle shown here. Use just 2-3 tablespoons, added to a wok with fresh vegetables of your choice (here we used asparagus together with assorted bell peppers). We also added chopped fresh ginger and Thai pepper powder. After just a few minutes of cooking, it's very delicious. The 20 oz bottle is generous and allows for plenty of servings. Ingredients: water, sugar, salt, soybeans, modified corn starch, brown sugar, wheat flour, caramel color, natural flavor shiitake mushroom, sodium benzoate. Made in USA. We also offer a Thai vegetarian oyster sauce.